It has been one hell of a year! 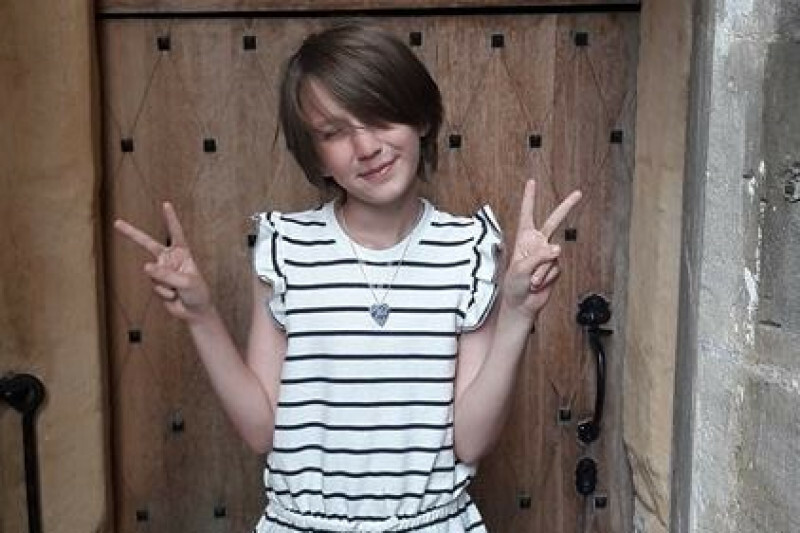 We have spent the better part of this last year trying to get my transgender daughter Blue her much needed puberty blockers. She sees a therapist weekly who has diagnosed her with gender dysphoria. She came out almost a year ago, and has been living as her true self since that day. It shouldn't have been that hard, but it has been. We are active duty military stationed in Germany for the last 8 years. If we were stationed in the USA she would have been able to get the puberty blockers from a military treatment center like stateside kids currently do. Being stationed in Germany, it has not been so easy. The local military hospital started an "ethics committee" to decide if they will ever provide those here. They currently do NOT. Tricare turned down our referral to an off base gender clinic for evaluation. Her clinic she had been seen at for 7 years even refused to see her as a patient anymore after she came out. We have been trying for almost a year to get her treatment. While we have waited we have tried to find any other way to get her the time sensitive care. With the pending amendments proposed in the US House of Representives to block transgender medical care by the military, we don't have time to wait anymore. There is a doctor at Ft. Belvoir who is willing to evaluate and treat her. We have tried to get the military to cover the treatment here, or even to send us to Ft. Belvoir for treatment but they refuse. So our only option is to pay for it ourselves. We have 4 kids, and finances are tight (no one in the military is rich). Two international plane tickets in the hight of summer is more than I can afford right now on my own. All I want in this world is for my kids to grow up healthy and happy. Since coming out Blue has FINALLY been happy, but she asks me every day when she can get the blockers. When she was teased for her adam's apple she threatened to cut it out, and she has struggled with seeing her body change in a way that terrifies her. The puberty blockers will give her TIME! Time for therapy, time to just be a kid and not worry so much about puberty and her body changing in a way that terrifies her. If we can get to Ft. Belvoir she can get the implant that will give us a year or two to plan for her future care, and how we will may for it if this amendent passes. Please help us get back to the USA, for just a few days and buy her time. I could scare you with the suicide statistics for transgender kids, they are TERRIFYING! These meds can literally be the difference between life and death. Blue is such a fun, sweet, beautiful person who is loved by so many. I just want to keep her alive, and happy. I don't know yet the exact date that the doctor will see her, he has said he will see her this summer. The first question was could I get her there, if I could he said he would evaluate and treat her. 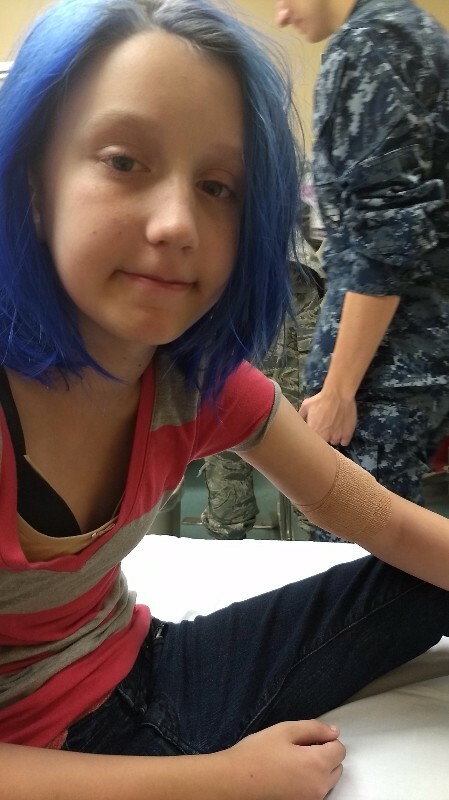 Today Blue got her puberty blocker implant! This is what we have been working toward for the last year. We could not have gotten here without your help. The implant will last up to 3 years. That gives Blue and I up to 3 years of peace of mind. Blue had a busy few days while we waited for her implant. She met with many Senators and Representatives to lobby for Transgender rights. Some even sought her out after Representative Joe Kennedy lll took Blue onto the floor of the house of representatives and introduced her to the House Armed Services committee. Blue took part in interviews and marched in and addressed the protestors in front of the White house. Blue was on fire! Hey everybody this is Blue I just wanna say thank you so much for helping me reach how much money we need to travel to where we need to be for the medical treatment again Thank you so much! Any extra money raised will be put in a savings account for Blue's future Puberty Blockers, and possibly her legal name change. Thank you all so much, from the bottom of my heart, thank you. Jess, one proud Momma Bear! OMG Thank you all soooooo much!! I don't have words today to thank you all. When Blue wakes up she is going to freak out! !